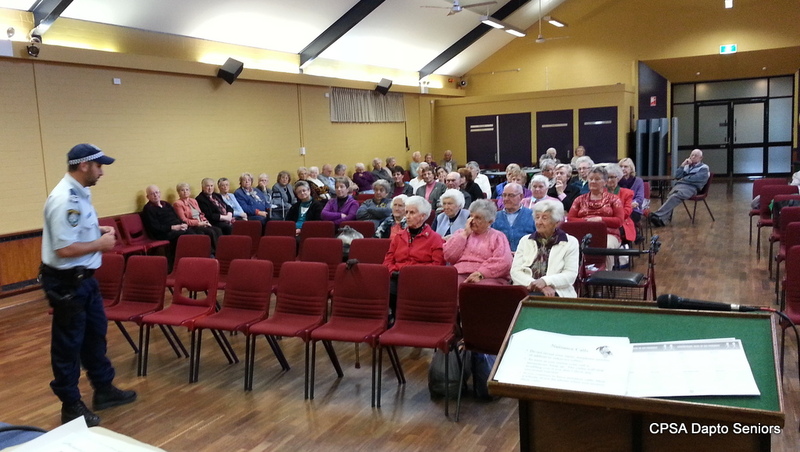 Our thanks to Senior Constable Ben Walsh who delivered a very interesting talk on home security during our regular meeting last Thursday. Ben also talked briefly about the "Next of Kin" register. He left forms for members to fill in and return to the Lake Illawarra Police Station. This facility enables the police in the event of an emergency to be able to contact your next of kin. The group's next walk is Exploring Gerringong. Because of the change of direction the group will meet at Dapto Station at 7.20am to catch the 7.35am train travelling south. Anybody is welcome to join the group. The walk on the 26thJuly 2013 will be to the Annual Sydney Retirement & Lifestyle Expo at Rosehill. All the usual meeting arrangements apply and the group will catch a train to Parramatta where they will take the free shuttle bus to the Expo site at Rosehill. Entry to the Expo is free with a token cut out of The Senior newspaper (page 22 in the current issue). Why not join us?